Though we have mostly gone our separate ways over the past year, I find that I am attached to the idea of the LuAn collective and want to keep it going just a bit longer. After all, you never know when you might need a data viz blog that you co-run. As a second year student in the English department at UCSB, I am gearing up to take (i.e. reading madly for) my qualifying exams this June. As luck would have it, I am also finishing up my course requirements this quarter, so I find myself in the…unenviable position of writing a paper on a topic that would ordinarily lie far outside my interests in the 19th century English novel: William Faulkner. So I did what any digital humanist with an unhealthy interest in visualization would do in my situation – I made a graph. I wanted to write a final paper for this course that reflects my theoretical interests and would allow me to continue developing a subset of my digital skills. 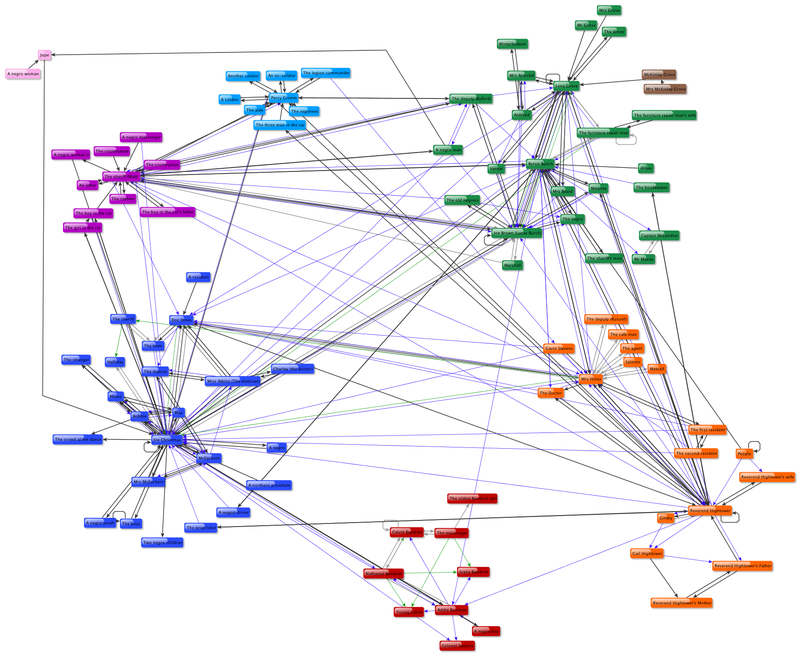 Of course, trying to get all of my interests to move in more or less the same directions is like herding kittens, but I had been seeking another opportunity to think through a novel using a social network graph and, well, I wouldn’t have to start from scratch this time. I knew how my graphing software, yEd, worked and I knew how long it took to turn a book into a collection of Excel cells denoting conversations (20% longer than you think it will take, for those of you wondering). 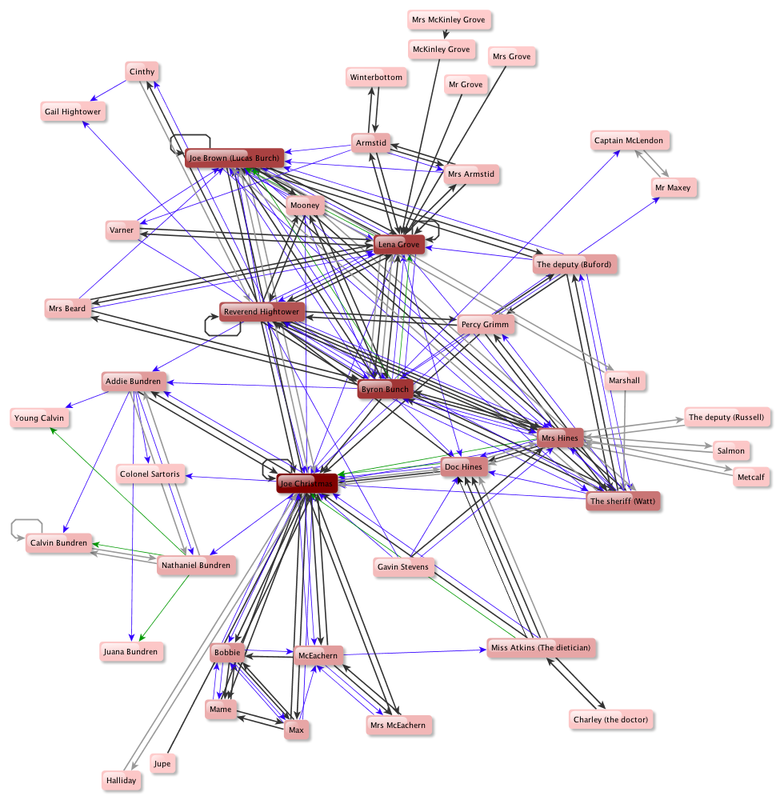 So why not create a social network graph of one story in Yoknapatawpha? Light in August is widely considered to be the most novel-like of Faulkner’s novels, which made it a good choice for my project. After all, I had experience turning a novel-like novel into a social network graph and no experience whatsoever with a text like The Sound and the Fury. Much as I was intrigued by and even enjoyed The Sound and the Fury and Absalom, Absalom!, the prospect of figuring out the rules for graphing them was…intimidating to say the least. When one character speaks to another, that interaction is marked with a thicker, dark grey arrow. When one character speaks about another, that interaction is marked with a thin, dark blue arrow. When one character speaks about another within another character’s narration, that interaction is marked with a thin, green arrow. There are several changes of note here. First, I learned more about yEd and figured out how to put properties like line size and color in the spreadsheet itself so that the software would automatically map color and line weight as appropriate. This meant I could make finer and clearer distinctions than last time, at least in terms of showing kinds of communication. Second, I changed the rule about quotation marks because quotation marks don’t necessarily connote audible speech in Faulkner, nor does their absence connote internal monologue. I relied entirely on the dialogue tags in the text to decide whether a sentence was spoken aloud or not. Finally, I changed the rule about named characters. 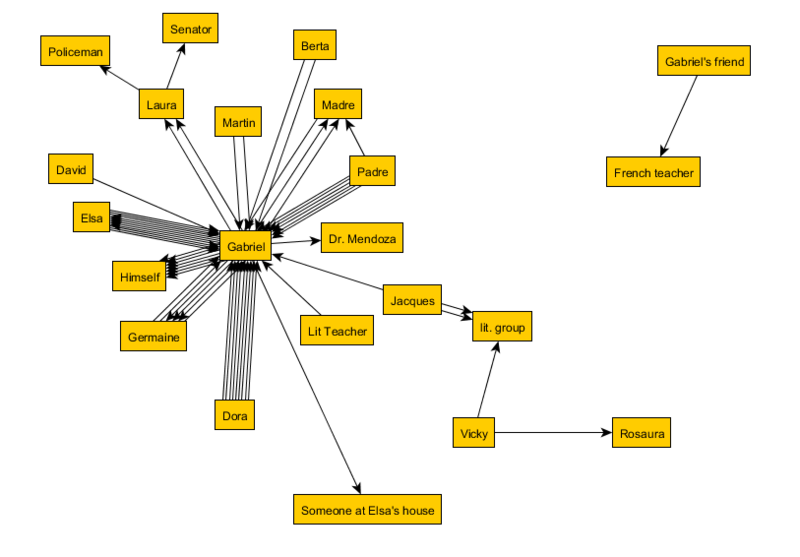 All speaking characters are represented in the graph, regardless of whether or not we are ever told their names. Had I not changed this rule, the number of characters of color represented in this graph would have fallen from 15 to 3. 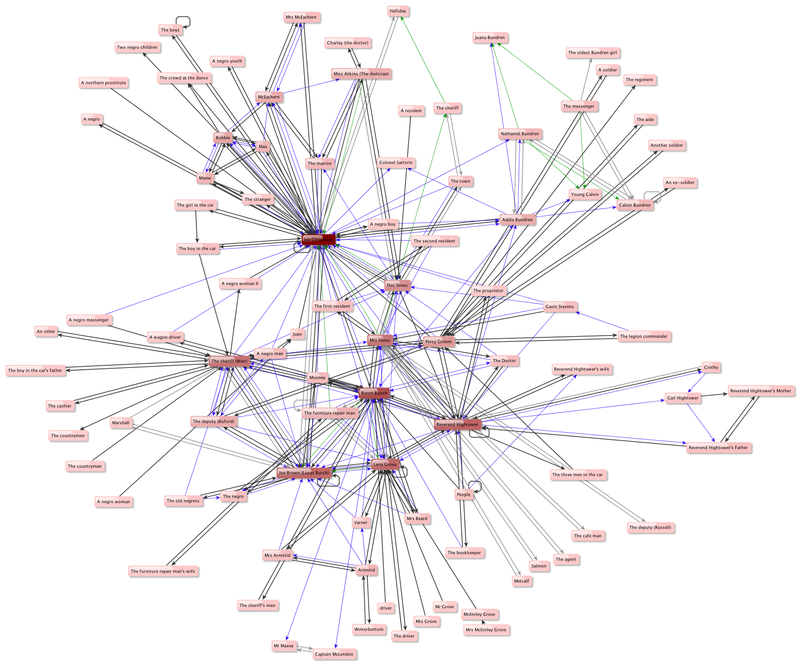 There are 103 distinct nodes in this graph, which means 103 characters speak in this text. There are several ways to interpret this difference and I am loathe to embrace any of them without, frankly, having done more work both with Faulkner and with the Victorian novels. One of the things I find striking, though, is that Light in August seems to be making visible (though only just) things that are either not visible or entirely not-present in Daniel Deronda. Light in August is told from different characters’ viewpoints and the narration always locates itself in their perspective and confines itself to what they know. So the graph becomes a record not only of what they have seen, but also of how they have seen it. My apologies. For that, I will give you three. Anything worth doing is worth overdoing. Click to see it in full size. In this graph, color corresponds to importance, as determined by number of interactions. The darker the color, the more interactions that character has had. That dark red mark in the middle is Joe Christmas. Colors mean the same here that it did in the previous graph. There are several differences between the two graphs. Obviously, the second is legible in a way that the first one is not, which is not entirely a virtue. When it comes to graphing, legibility and completeness tend not to walk hand in hand. The more you leave out, the more you can see so, contra-positively the less you can see, the less you have left out. The best-of-both-worlds solution is to use both images. These are questions to be solved, or at least pondered. They are, at any rate, questions worth asking. If the network remains intact without these characters, what does their presence signify? What has changed between the first graph and the second? After all, I do have a paper to write from all of this. I promised you a third graph, did I not? This one moves in a rather different direction. As part of its ability to organize and rearrange your graph, yEd has a grouping functionality and will divide your graph into groups based on the criteria you choose. I had it use natural clustering. each node should have few or even no edges to nodes of other groups. yEd gave me 8 distinct groups, two of which had only two nodes in them. As always, click for full-size. I assume that when yEd said that the groups would have few or no edges to nodes in other groups, it was doing the best it could with the material I gave it. I then had yEd rearrange the positions of the nodes so that the centrality of a node’s position within a group indicates how many connections it has. What I love about this graph is how it divides Light in August into a set of six interconnected but distinct narratives. Each group larger than two centers around a specific character or group of characters involved in one thread of narrative. Joe Christmas, who is arguably the main character, has one section (along with a plurality of the other characters of color), Lena Grove, Bryon Bunch and Joe Brown are all grouped together in another and, while they talk about the characters in Joe Christmas’s section quite often, they have only three conversations with the characters in that group. Those are the two largest groups. Percy Grimm, for all that he only appears in one chapter, manages to collect 7 other nodes around himself and does seem, in his own way, to be the protagonist of his own story who just walked into this one for one chapter and then left again. He is also the only named character in his section. 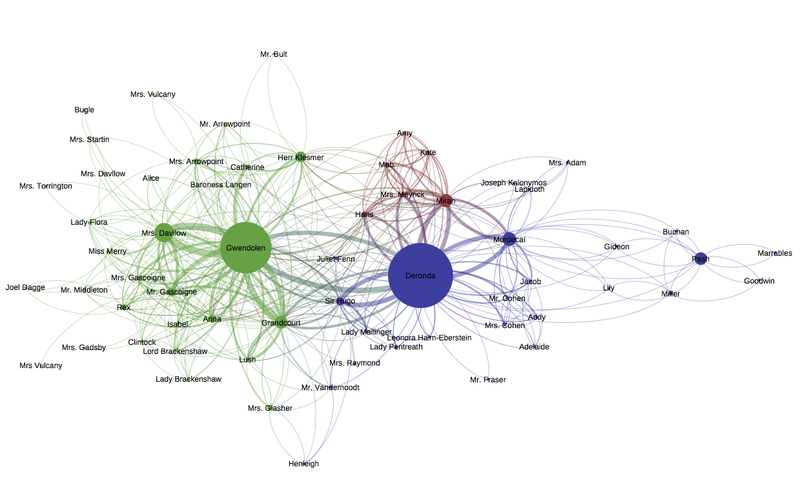 Social network graphs are, for me, a way of re-encountering a text. They strip away most of the novel and model only a small portion of what is present in the text, but that portion becomes both visible and analytically available in a new way. (I think seeing and visibility will become a theme in this paper, once I write it.) The title of this course is “Experimental Faulkner”. I like to think that this qualifies. What Are We Doing With Our Visualizations? 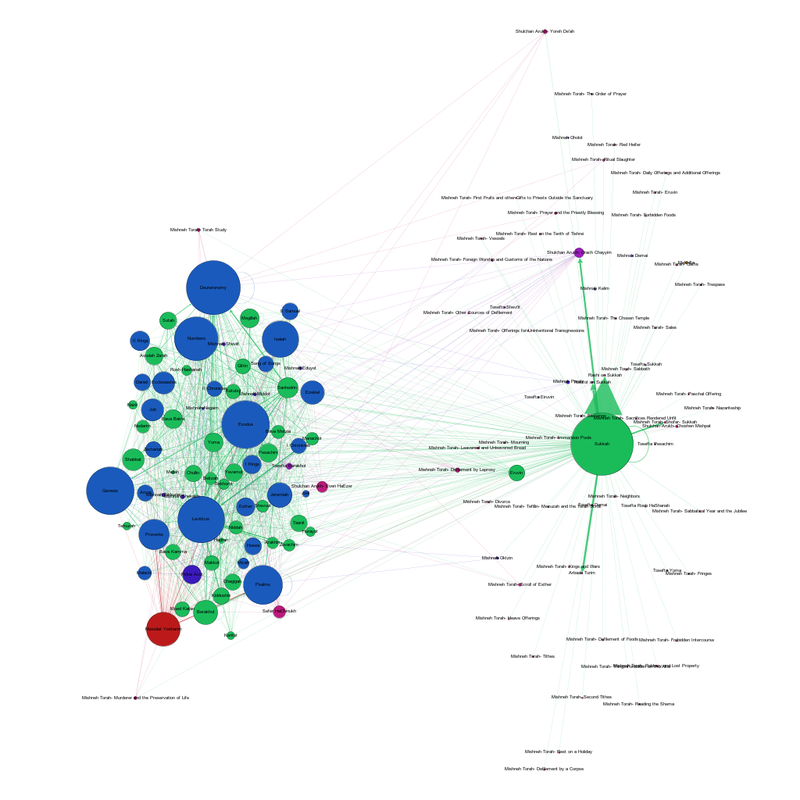 A colleague of mine pointed me towards the following post about Shock and Awe Graphs in the Digital Humanities. The author, Adam Crymble, makes some decidedly thought-provoking points about what graphs are meant to be doing and how data visualization can sometimes work as a tool of intimidation as well as elucidation. So before you publish a visualization, please take a moment and step back. As in the cult classic, Office Space, ask yourself: Is this Good for the Company? Is this Good for Scholarship? Or am I just trying to overwhelm my reviewers and my audience? Both pieces make certain assumptions that I think we, as the Ludic Analytics group, are not willing to make. The first is that visualizations exist to convey information to the reader and the second that visualizations must have some immediately identifiable utility. The visualization presented at the beginning of Crymble’s piece is meant as a joke, but because a) he doesn’t provide any more serious examples and b) the point I’m trying to make works just as well, I am going to pretend it is real and assume that if I can answer his reductio ad absurdum with logic, then said logic can surely be applied to more reasonable work. Like others of its ilk, this image a piece of art I would frame and hang on my wall rather than a readable graph. It offers very little in the way of interpretation to the untrained viewer and is, as Crymble says with his tongue firmly in his cheek, about 18th century cattle’s preference for south facing barns. Crymble is frustrated when asked to view graphs like this as proof. However, were there no image whatsoever–had he merely read a paper that claimed to have looked at the data and found that cattle preferred south-facing barns–I would imagine he would have had less trouble with the assertion. 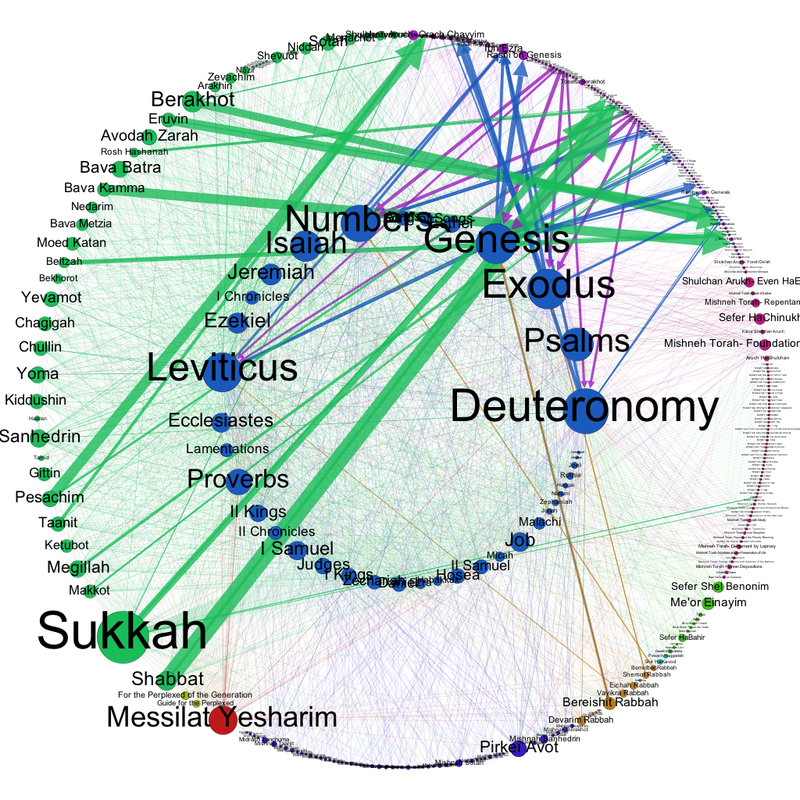 This visualization exists because it can, not because it makes any particular point. It is there to be beautiful. And were it real, it would also show that the researchers engaged with the data to the extent necessary to produce such a graph. It would not be proof of point, but proof of process. And I would imagine that the task of creating such a visualization and dealing with the information would give the researchers a better understanding of their data, even if the visualization lacks a trickle-down effect of understanding to the reader. I can think of several possible solutions to this problem. 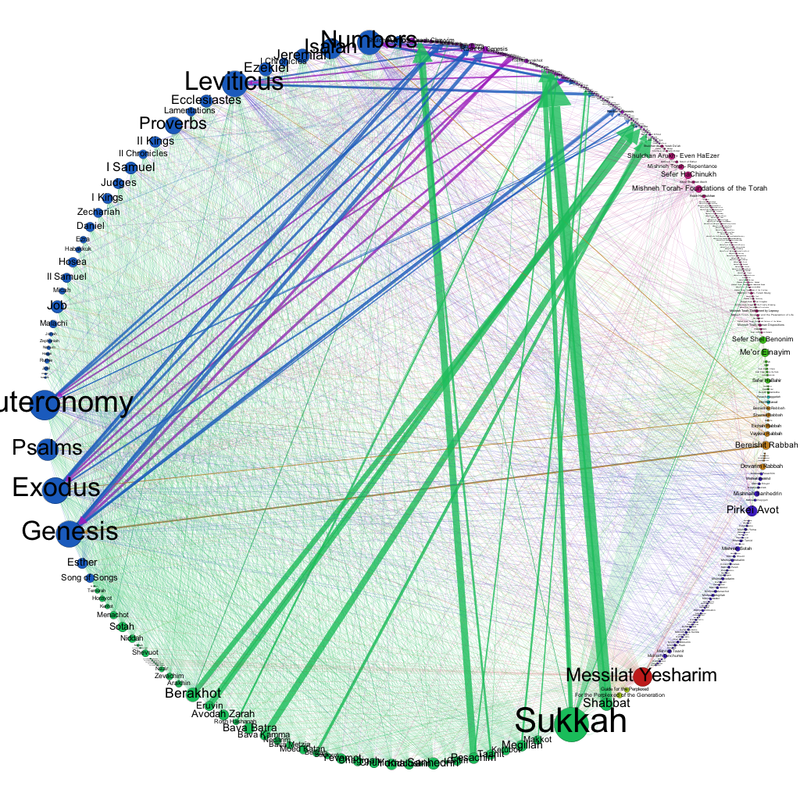 One is to accompany visualizations with detailed descriptions of their genesis (Stephen Ramsay does this to good effect in his article “In Praise of Pattern”). Another is to create dynamic visualizations that can operate on a temporal as well as spatial scale. For example, imagine a social network graph where you can watch the edges build up between the different nodes while the nodes move around to create different groupings as the networks grow over the course of a novel. You could even have edges fade slightly if a connection has not been mentioned for over ten chapters, for example. 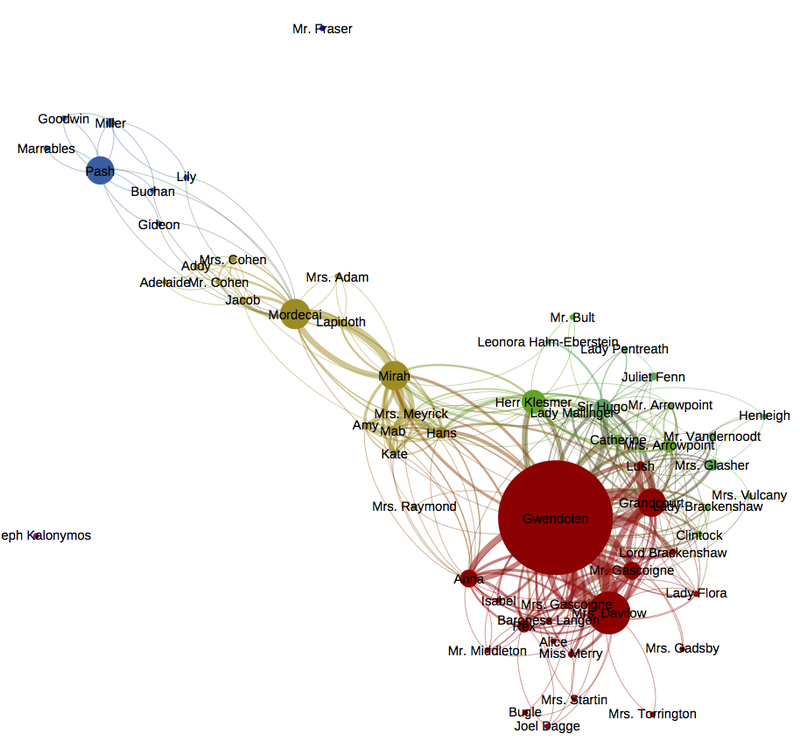 As might be evident, I find this idea truly exciting and would love to imagine a novel performed as a network graph. A third option would be to use the visualization not as proof of theory, but as a starting point for the reader to form her own conclusions about the topic. The visualization becomes a way to share data rather than results and the reader is invited to tell her own story with it (I am drawing this idea from N. Katherine Hayles’s new book, How We Think). The data, and database, are an interface where textual exploration can happen rather than a static image of exploration someone else has already done. These last two solutions require a somewhat radical rethinking of data presentation. Putting the visualization in as “(fig. 3)” on page 6 of the printed article is no longer going to cut it. Articles are very good at what they do, which is provide a forum in which to recreate traditional practice so that the reader can experience it along with the author. If we want our readers to experience our non-traditional readings along with us, we’re going to need non-traditional modes of delivery to do it. So I have found myself increasing drawn to the idea of these phrase nets. There’s something about the way they ask me to engage with the text on a decontextualized level that I love. Certain specific words make me wonder about how they are being used in the text and I try to remember when they might be deployed, but others just distract me and intrigue me. I suppose my question here is “What is the difference between the animated version and the earlier ones?” Is there something more compelling about a dynamic visualization? On the simplest level, I find myself spending more time staring at things that move, but does that make this a “better” visualization if I don’t even know what I’m trying to convey with it? Then again, the reason I don’t know what it means is because I haven’t returned to the text yet to think about it. If visualizations are a tool for analysis as well as a form of…art, I suppose (My artistic skills leave what to be desired, but art nonetheless), then I need to think about their implications. Or perhaps I don’t. 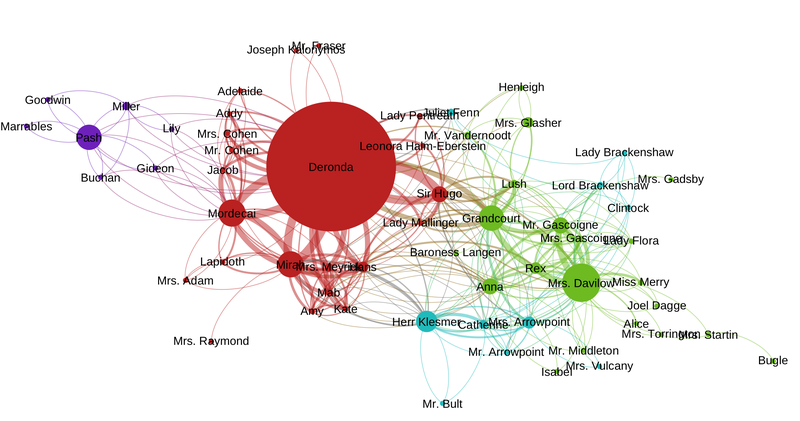 Perhaps my next read-through of Daniel Deronda will be more illuminating even if I’m not directly thinking about this network. Perhaps someone else will see a connection. 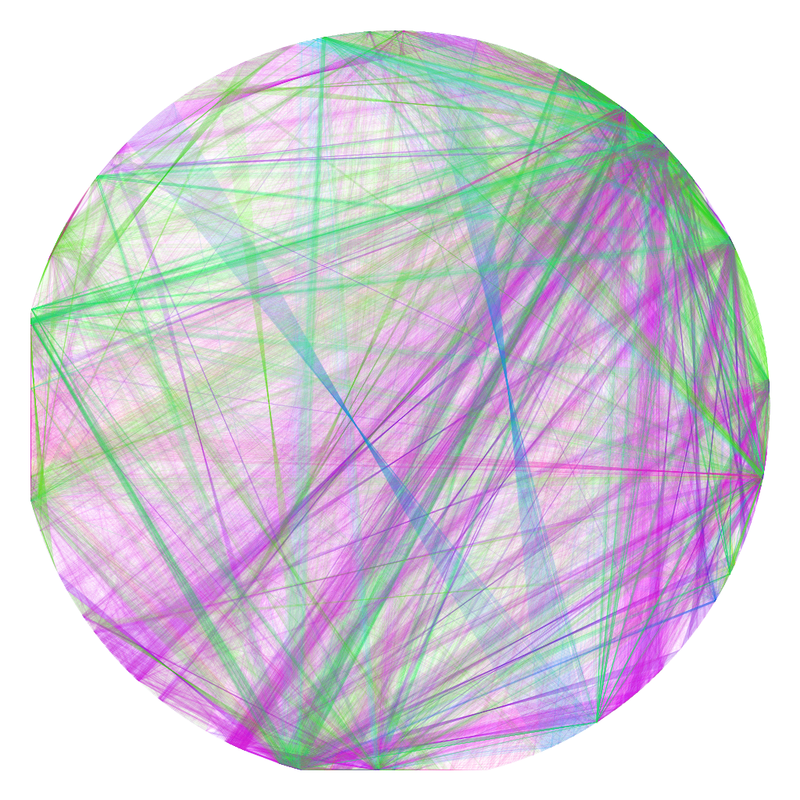 Or perhaps this gif will just reman here, fading slowly into color. Questions of usefulness bring me to my second point, which is an article I saw that I felt resonated with something Meaghan had brought up before. There are several people in the field of Digital Humanities, Stephen Ramsay comes to mind immediately, who are insisting that you cannot be a digital humanist if you do not know how to code. (Full disclosure–I can handle basic html and have once or twice actually uttered the phrase “Stand back, I know regular expressions“.) But aside from the fact that this more or less relegates people working with Facebook and Twitter and doing really interesting things with technology in the classroom to something else (and maybe they should have a different title, but they seem to be part of the club these days), I am bothered by this assertion and have spent some time trying to work out why…other than the fact that I find marginalization disturbing especially when aimed at me. Then a friend of mine posted the following article to his Facebook page and I got it. The author makes several good points, chief among them is that we don’t need any more (bad) code in the world and, I have to be honest, most of the software I’ve seen produced by those in the humanities has been just that. We don’t need “good enough” coding, we need excellent coding done by professionals who are willing to share and maintain and update their software so that we, as scholars, can have equally excellent results. Which is not to say that Digital Humanists shouldn’t know a bit about code or shouldn’t decide to make it their “skill” and become just as good as a professional. I have met amateurs in almost every field who can beat the pants off the professionals, but still only do what they do as a hobby. And if you’re that good, please go for it! But here’s my plea. If you’re just going to learn enough to hack something together to get you through a project, a clunky thing that needs you to coax it along and that can’t really be used with any reliability by your colleagues, then perhaps you should think about whether the discipline as a whole will benefit more from your code or from you teaming up with someone who really knows what they’re doing.